Sedona best tour guide company! Offering private tours to your party. We personalize each tour to your interests and desires. What you get with us is complete flexibility. Our rates are competitive and a real value. I love this quote by Walt Disney. Who am "I"? I'm the owner of Sedona Red Rock Adventures and I started my company 15 years ago because I wanted to share my passion of everything Arizona with those visiting here. I may not be the biggest tour company out there. I don't own 100 Jeeps, nor do I have a fleet of coach buses operating under different names but with one owner; but what I do have is my PASSION for Arizona. For me, it about allowing you to EXPERIENCE Arizona as I do, through my eyes, for that short moment that you are on a tour with me, Jim Reich. So, in the words of Disney, "if you can dream it, you can do it"; that's how I operate my tours. That might sound cliche' but it's the truth. You tell me what you want to SEE and DO, and I will CREATE it just for you. I give you personalized service. For me me it's not about how many people I can fit into a tour bus, but rather the quality of the tour, that's why each tour is private to each individual customer. Whether you have two people or fourteen, I can accommodate you. By offering tours with the mindset of Disney, I give you flexibility that the larger tour operators just can't offer. I invite you to book a tour with us. I promise that you will go home with a memory what will last a lifetime. Bring your dog on any tour and get 10% off your tour. We love dogs and would love you to bring your four-legged friend on your tour. Simply enter "dogfriendly" while making your online reservation to receive discount. Ask us about White Paw (pictured above and below), our new company "Guide Dog" who can join you on your tour. Are you looking for a custom tour of Sedona? Allow me, Jim Reich, the company founder to be your guide. Although there may be many ways to see and experience Sedona from open air Jeeps to large tour buses, we offer a much more personalized approach. Whether you are a solo traveler, a family coming to red rock country for the first time, a couple escaping the hustle of the Phoenix area, or just a group of friends here on an annual outing we offer you an intimate tour of the area. See the red rocks at your pace, never feeling rushed or being on a timeline to get to the next place. We start our tours when you want to go, not on a set schedule. ​Although we have set tours ranging from seeing the Sights of Sedona to Majestic Sunsets to Magical Vortex Experiences to Sedona Hiking Adventures to Native American Ruin Sites, just as the red rocks of Sedona are unique, so are you, our customer. Every one of our tours we customize to your interests, what you want to see or avoiding places you may have already seen on previous visits to Sedona. We offer you complete flexibility throughout the duration of your tour. We even allow you to make changes to the dynamics of your tour on the fly. So what might start out as a Sedona hiking tour could end up with a visit to a local Indian ruin site. To me it's all about complete flexibility, options, and providing you with the best possible experience I can. ​Yes, you may be able to go on a Jeep tour or Trolly or Large Tour bus with a bunch of strangers that may offer you a tour that is less than ours in price. Though I feel that you get what you pay for. Those tours have regimented schedules with guides that are overworked. At Sedona Red Rock Adventures, I just do one tour a day, and that good enough for me. For I believe in the quality of the experience, not quantity. I have been a Sedona resident since 2001, and first moved to Arizona to go to college at Northern Arizona University in 1988. The reason I live here is because I believe I live in one of the most beautiful places in the world. I do what I do because it brings me joy on levels that are difficult to explain to be able to share my greatest passion, Sedona, with visitors from near and afar. 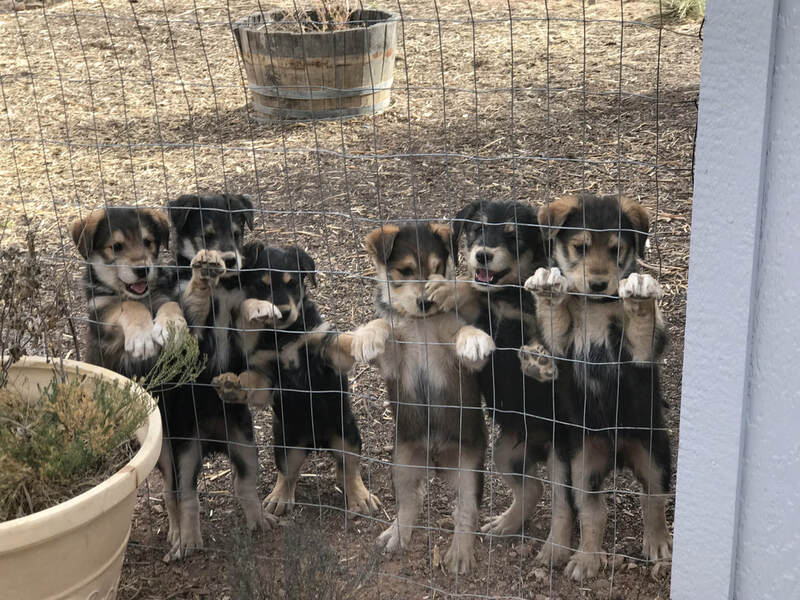 ​I come from a large family, having 4 brothers and sisters. I know that it sometimes can be financially challenging for families to be able to do everything they wish to do while on a family vacation because of budget concerns. Allow me to alleviate that concern so your family can get the most out of your vacation to Sedona. When you book your tour with me, children 15 are free on all of our Sedona area tours. This includes our scenic area tours, sunset tours, hiking tours, vortex tours, and Indian ruins tours. By offering this great discount, I sincerely hope that your family gets to see facets of Sedona that you may not have been able to see otherwise. I love sharing this magical land, even more so when I can pass on the wonder I experience everyday to that of a child visiting here for the first time. That makes my work, all the more gratifying. ​If you have further questions about my tours, I invite you to call me at my office. My toll free number is 866-445-3732 or you can call/text 928-224-2991. You may also email me at info@sedonaredrockadventures.com. I look forward to meeting you and being able to share with you my greatest passion, Sedona. Our tours are individualized to your party, one on one with your own guide. Tours are personalized to meet your individual interests. Complete flexibility and adaptability throughout your tour. We offer flexible start times based on your needs and schedule. Complimentary pickup anywhere in Sedona, Cornville, or Cottonwood. Allow us to be your photographer, complimentary digital photos provided. Locally owned and operated, we have been providing tours since 2004. Dog friendly tours – we provide a bone or two. Children 15 & under are free on all Sedona area tours (except full day tours). Staying in the Phoenix metropolitan area and don't have a rental car? No problem. 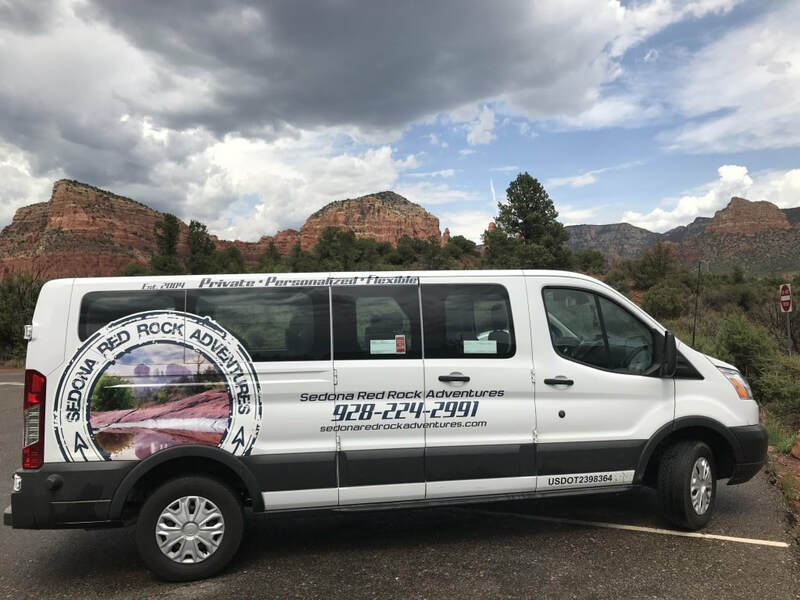 Although all of our tours start in Sedona, the outlying Verde Valley, or Flagstaff, we have set up an arrangement with the fine folks at Ace Epress Shuttle Service. Like us, they are a locally owned company and have been offering shuttle service for over 15 years. They offer group transportation from select hotels in the Phoenix area, as well as from Sky Harbor Airport and Phoenix - Mesa's Gateway Airport. These are set departure times that go periodically throughout the day. If you are coming up with a group, they can drop your off at the Super 8 in West Sedona and we will meet you there to begin your tour at the designated time. If your group prefers to come up directly from your hotel to Sedona based around what time is best for you, Ace Express Shuttle Service also offers private charter service in the comfort of Lincoln Towncars for groups up to 3 passengers. For groups of 4 or more they use comfortable passenger vans. If you are opting for the private shuttle, you may have them drop you off at The Art of Wine located at the Hyatt Pinion Pointe Shops. From there there is an array of shops, restaurants, and sights to enjoy while you relax before your tour begins. Please make sure you let them know that you were referred to them by Wine Tours of Sedona & Sedona Red Rock Adventures, and that you are coming to Sedona to go on one of our extraordinary tours. We were recently honored with National Geographic's "Paw of Approval" for being one of the few tour companies in Sedona that is pet friendly. So if you are traveling with your family dog, they may go for free on all our tours. Check out National Geographic's new book, THE DOG LOVER'S GUIDE TO TRAVEL: Best Destinations, Hotels, Events, and Advice to Please Your Pet—And You by Kelly E. Carter, the creator of The Jet Set Pets.